Public phones are plentiful and conveniently located. Usually gray or green in color, most phones take both coins (10 and 100 yen only) and phone cards. As a rule, phone cards are usually more convenient. Cards can be purchased at kiosks at local train stations and in department stores. Phone cards are standardized nationwide and can be used for any public phone in Japan unless the phone is a rare, old model that accepts only coins. 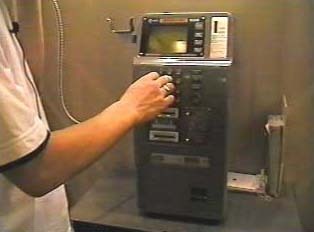 "Making Plans with a Friend"
"Getting a Phone Number from a Friend"
"Using a Public Pay Phone"
"May I speak with Keiko?" "This is Takuya, may I speak with Keiko?"